Last week I got to the point where my make up was driving me mad. I had three full make up bags out on my dressing table along with a mini drawer set full of lippy. I took the plunge and was pretty brutal with getting rid of some products I haven't used in a long while. I always try to convince myself that they'll 'come in handy' some time, but I find myself, more often than not, reverting back to my old favourites. I've made a sort-of resolution to myself this year, to save up and buy premium, good quality make up. I'm not saying I want an entire Tom Ford lipstick collection (although that would be nice) but to treat myself to some more pricier pieces rather than just heading straight to Superdrug. I want to build my collection to get some timeless pieces, which I have started by picking up some Charlotte Tilbury products and keeping hold of my trusty Nars make up. Anyway, I found a spare cutlery divider in the kitchen and thought it would be the perfect insert to add in my dressing table drawers. And it turns out, it really does make all the difference. I'm now reaching for products I love, but had forgotten about at the bottom of my make up bag. 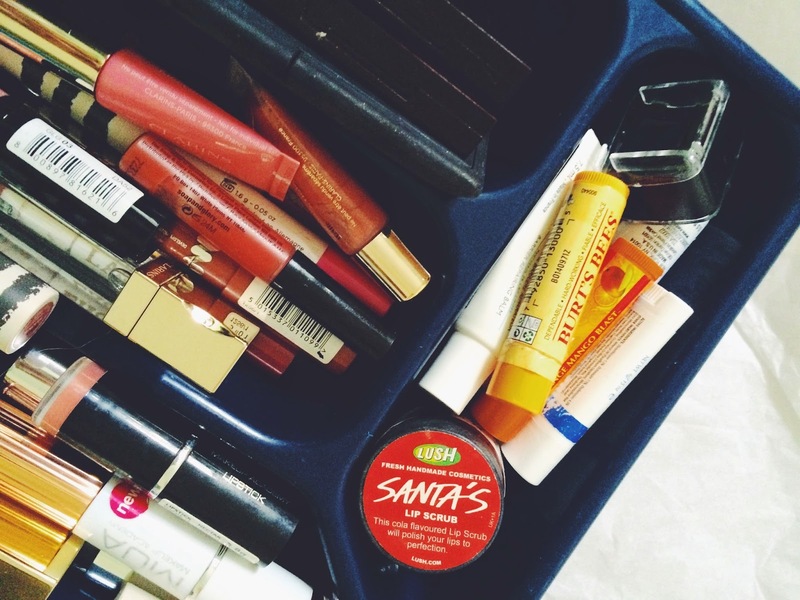 It's now ten times easier to pick out something from my lip or eye collection without everything spilling onto the floor. 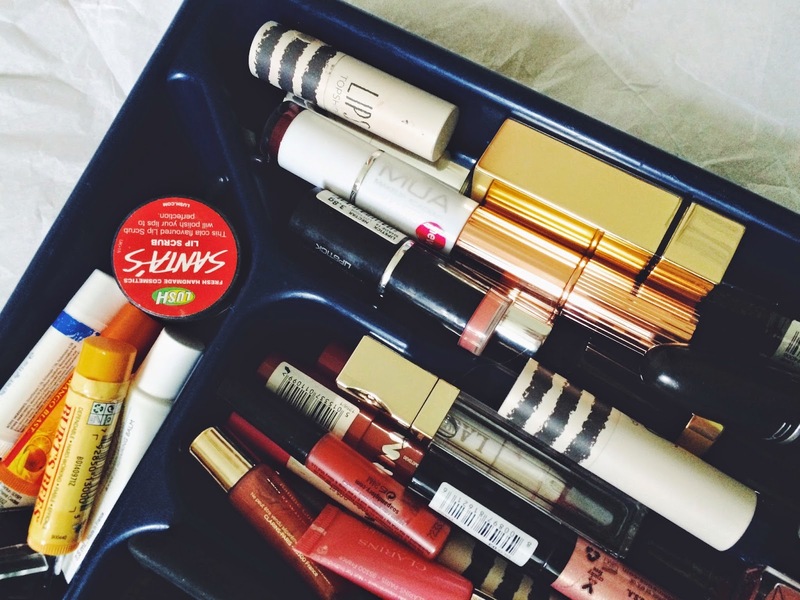 If you are sick of hunting for your favourite lip pencil among your many make up bags, I would definitely recommend picking up a cutlery tray and sorting out your stash. 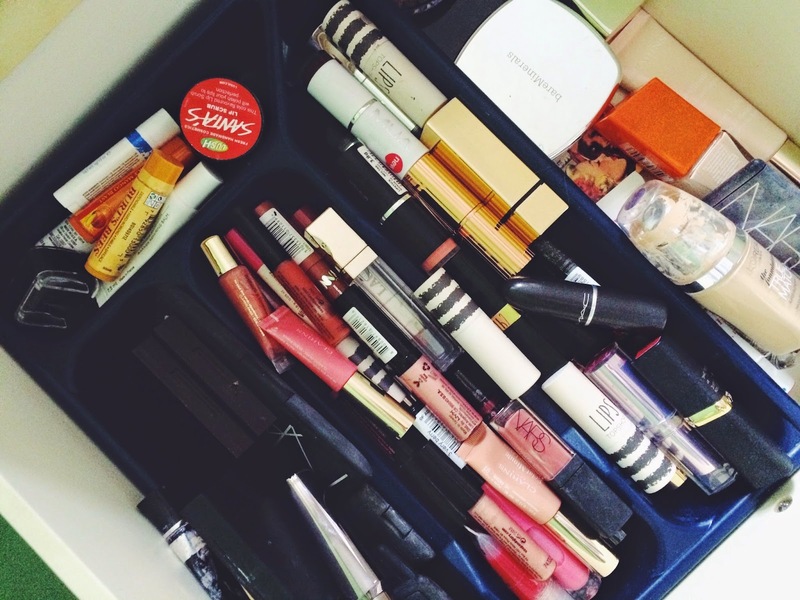 I used a cutlery tray for my make up until I made some drawers up and it was so good at the time!